Offering you a complete choice of products which include potassium fulvate plant origin fertilizer and potassium humate organic fertilizer. BioFul is a product plant extraction bio technology that results in offering fulvates with water solubility. It can be compounded and dissolved with trace elements (Like Fe, Cu, Mn, Zn, B) and macro elements (Like NPK). This product can also be used as a feed additive. BioFul is mainly used in agricultural crops, fruit trees, landscaping, gardening, pastures, grains and horticultural crops, etc. Crops become more susceptible to disease and the weaker stock is an open invitation for pests to move in. Crucial to life, humates restore the natural balance in soil necessary for optimal plant growth and provide the foundation for plant vigor. Humates are highly concentrated, natural organic humus, Humate is the alkaline salt of humus from high-grade leonardite. 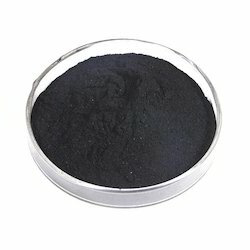 Natural Potassium Humate is potassium salt of Humic matter collectively called as Humus also known as the Humic acid from high-grade natural vegetable, animal decay matter Leonardite.